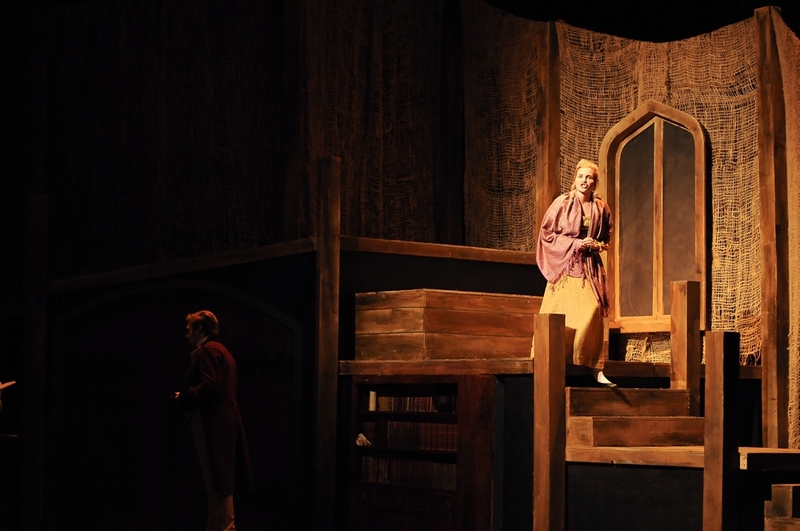 The Rutgers University–Camden theater program will open the curtains on its 2018-19 season with Mary Shelley’s Frankenstein, in celebration of the 200th anniversary of the classic novel. The production – directed by Damon Bonetti, a part-time lecturer at Rutgers–Camden, and two-time Barrymore Award-winner Charlotte Northeast – opens on Halloween, Wednesday, Oct. 31, and runs through Sunday, Nov. 4, in the Walter K. Gordon Theater on the Rutgers­–Camden campus. Evening performances are 7:30 p.m. Wednesday to Saturday, and a matinee performance will be held at 2 p.m. Sunday. In Austin Tichenor’s thrilling and faithful stage adaption, the brilliant Dr. Frankenstein creates life in his laboratory, but soon realizes that he can’t control it and must destroy it. Widely regarded as the original science-fiction novel, the amazing twists and turns of this classic tale have gripped generations of readers and will keep audiences on the edge of their seats. 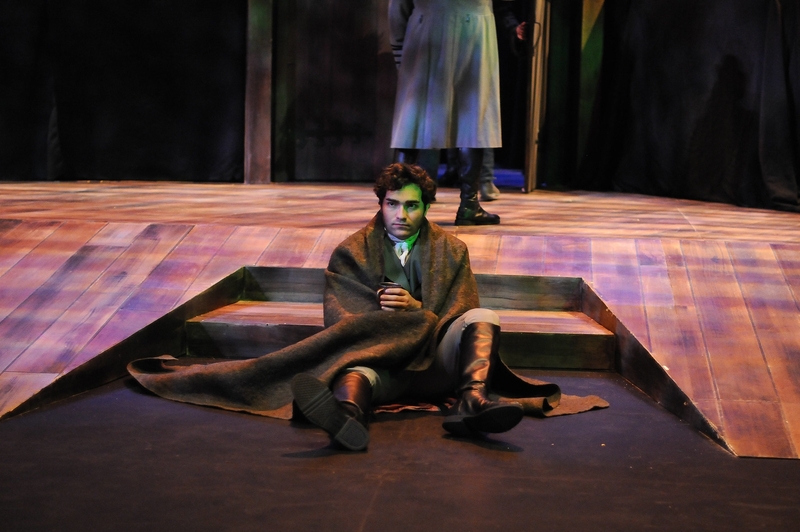 Rutgers–Camden faculty contributed throughout the production. James Mobley, technical director of the theater program, designed the massive, multilevel set. Millie Hiibel designed the period costumes and Dom Chacon handled the lighting; both are part-time lecturers. Stefán Örn Arnarson, theater programs director and an instructor of music, has created a musical score and soundscape. 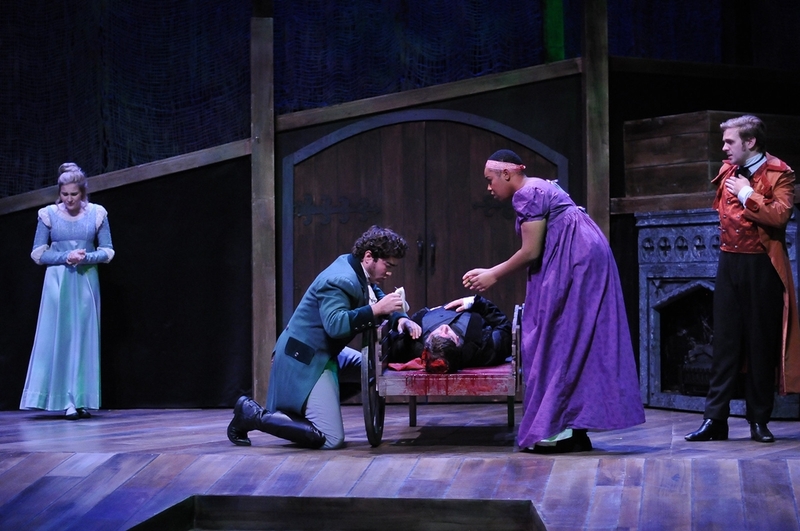 The Frankenstein cast includes student-actors Josh Feinbaum of Cherry Hill as Frankenstein; John Patouhas of Voorhees as Henry; Rachel Apsen of Deptford as Elizabeth; and Anthony Diaz of Cherry Hill as the creature. Tickets are $12 for general admission; $10 for faculty, staff, and alumni; and $8 for students. Tickets can be purchased in advance at the Impact Booth in the Campus Center, or by phone at (856) 225-6211. For more information or to purchase tickets online, visit go.rutgers.edu/twbhmalg.